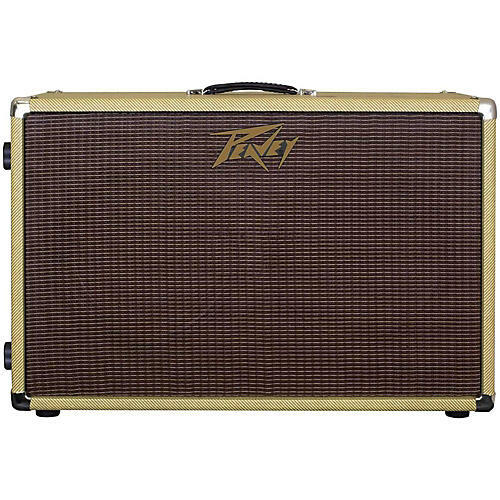 This Peavey 212-C 50W 2x12 guitar speaker cab features Peavey's top build quality and easy portability coupled with a single Celestion Vintage 30 as well as a Celestion G12T-75. It also offers two inputs for use as a stereo or mono cab, plus feet on the short side to be used as a vertical 2x12. Dimensions: 28 in. x 17.8 in. x 11.5 in.